Recently discovered pieces by the late Andy Warhol (PeekYou profile here) — perhaps the most famous American artist of the 20th century — proved uniquely challenging to the team of archivists, artists, and tech experts taxed with turning them into something the world could view. The works in question resided on over 40, nearly 30-year old floppy disks. Created on a Commodore Amiga 1000 computer in 1985, as part of a promotional live event with Blondie singer, Debbie Harry (PeekYou profile here), the experiments went forgotten for decades. The painstaking recovery process was documented for a film entitled Trapped: Andy Warhol’s Amiga Experiments, which will be premiering at Pittsburgh’s Carnegie Museum of Art on May 10. You can read a fair bit more about all of it at Engadget here. 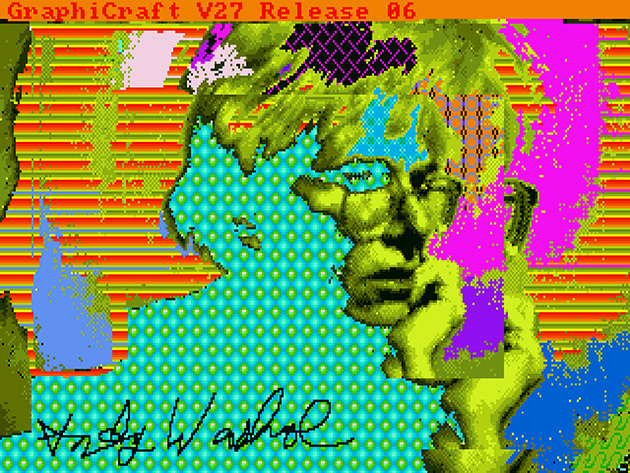 Below we’ve got a brief clip of Andy with the Amiga, and of course you can explore the vast many corners of cyberspace where Warhol’s powerfully influential presence is felt, via the many links to be found on his PeekYou profile.